English garden cobbles are used to great effect to form this brick circular terrace. 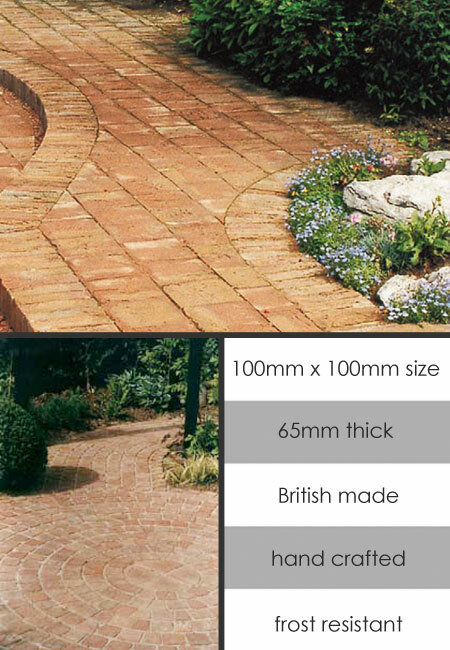 These terracotta brick pavers are frost resistant which is a must in the UK climate. The dimensions of each flooring brick is 100mm x 100mm x 65mm thickness.  Centre circle design available on request.  Garden cobbles sold by sq metre.